The Great Cormorant is almost entirely black in plumage, apart from a white and yellow chin and a small white patch on each thigh (absent in winter). The bill is grey and the legs and feet are black. Young birds resemble the adults but are more dusky-brown. 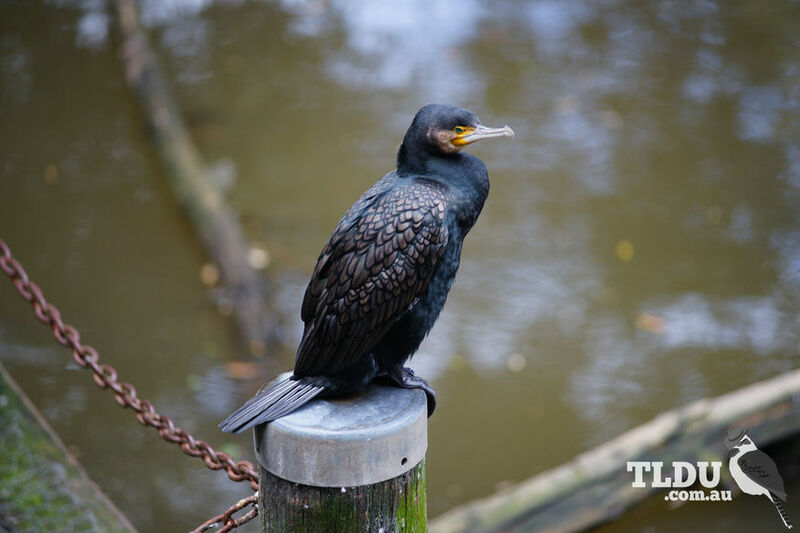 The Great Cormorant can be distinguished from the noticeably smaller (58 cm - 63 cm) Little Black Cormorant which is completely black and has a thinner bill. The Great Cormorant is the largest of the Australian cormorants and is one of the largest in the world. Great Cormorants are probably the most widespread member of the cormorant family with a range that includes North America, Europe, Africa, China, India, Southeast Asia, New Zealand, Papua New Guinea and Australia. It occurs throughout most of Australia but is more numerous in the south-east and south-west. In spite of its preference for extensive areas of permanent freshwater, the Great Cormorant is not confined to these and is often observed on coastal inlets and estuaries. 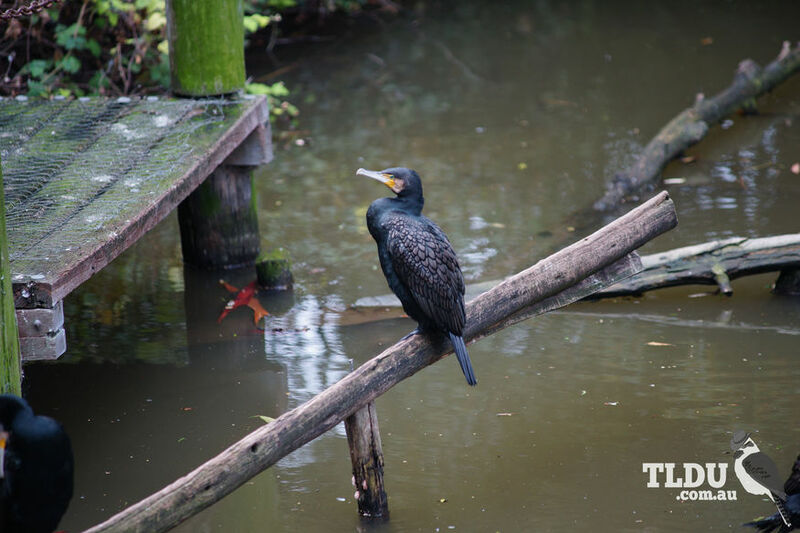 Like other cormorants, the Great Cormorant feeds mainly on fish, supplemented in freshwater by crustaceans, various aquatic insects and frogs. The Great Cormorant is an excellent swimmer and captures its food in shallow underwater dives, normally lasting up to one minute. Underwater, it swims and pursues prey using its feet but not its wings. Outside of the breeding season small groups are formed although birds are often seen fishing alone. Great Cormorants are sociable birds and around breeding time they form colonies of about 2 000 birds, with colonies of up to 20 000 birds being reported. Breeding can occur at any time depending on food supply. Both sexes build the nest, which is a large structure of sticks placed in a low tree or on the ground. Both parents also incubate the eggs and care for the young.